What Types of Fish Are Low in Fat? Fish are one of the best sources of the essential omega-3 fats eicosapentaenoic acid, or EPA, and docosahexaenoic acid, or DHA. These omega-3 fats may lower your risk for heart disease, which is why the American Heart Association recommends you eat fish at least twice a week. Low-fat fish make it easier to stay within the recommended fat limit for the day of no more than 35 percent of your calories, but may also be lower in essential omega-3 fats than higher-fat fish. 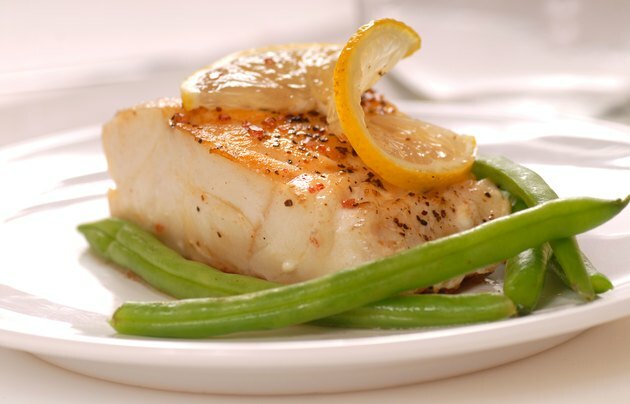 The fish that provide the least amount of fat, with less than 2 grams of fat per 3-ounces of cooked fish, include orange roughy, tuna, pollock, mahi mahi, cod, hake, haddock, sole and flounder. Tuna and cod are especially good options if you are trying to maximize your protein intake, since they are among the fish highest in protein per calorie. 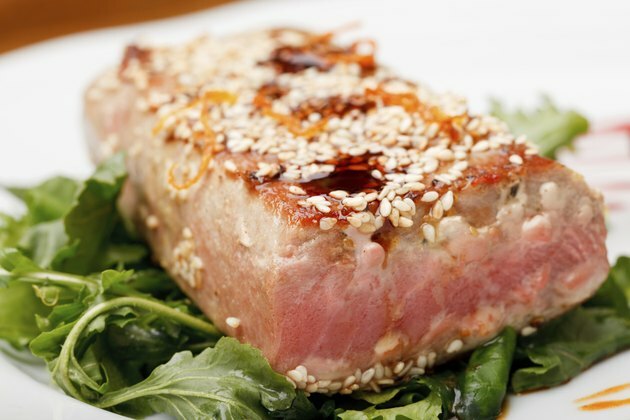 Choose tuna or pollock if you are trying to maximize your omega-3 fats while minimizing total fat consumption. Tilapia, chum and pink salmon, ocean perch, halibut and Pacific rockfish are also low in fat, with less than 5 grams of fat per 3 ounces of cooked fish. Of these options, salmon is significantly higher in omega-3 fats, providing 900 to 1,825 milligrams per serving depending on the type you choose. This is more than the recommended amount of at least 500 milligrams per day. 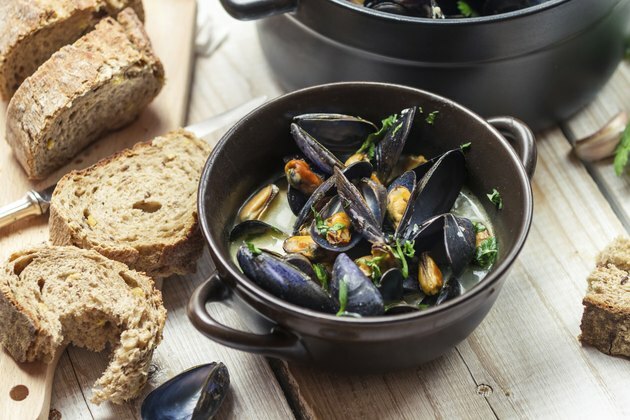 While not technically fish, shrimp, scallops, crab, lobsters and clams all contain less than 2 grams of fat per 3-ounce serving and oysters and mussels provide less than 5 grams per serving. 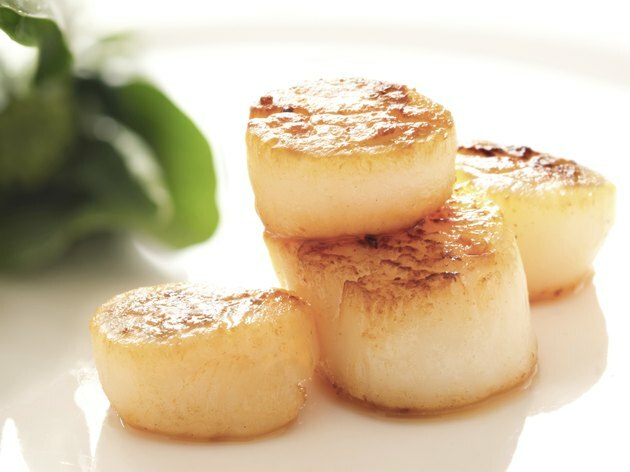 Oysters, crab and scallops all provide at least 300 milligrams of omega-3 fats per serving, making them among the better low-fat seafood choices. 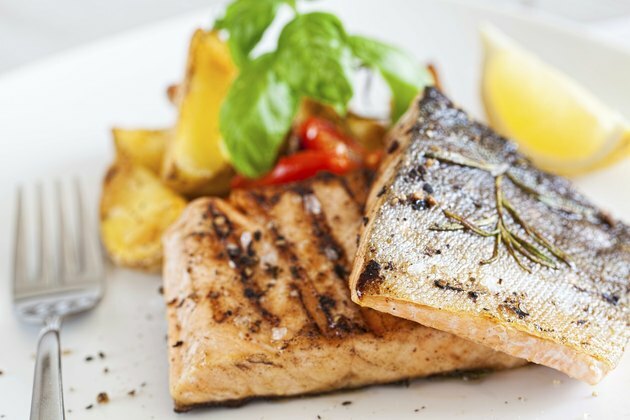 When choosing fish or seafood, fat content isn't the only important factor. Some types of seafood tend to contain higher levels of mercury than others, making it important to limit these in your diet. Orange roughy, big eye and ahi tuna are among the low-fat fish highest in mercury, so avoid these. Yellow fin and canned albacore tuna are also high in mercury, so choose chunk light tuna or skipjack tuna instead. The fish both lowest in fat and lowest in mercury include flounder, hake and haddock. Salmon, tilapia, ocean perch, shrimp, scallops, crab and clams are also good low-fat and low-mercury options. Ask Dr. Sears: Ranking Seafood: Which Fish are Most Nutritious? What Fish Is High in Cholesterol?